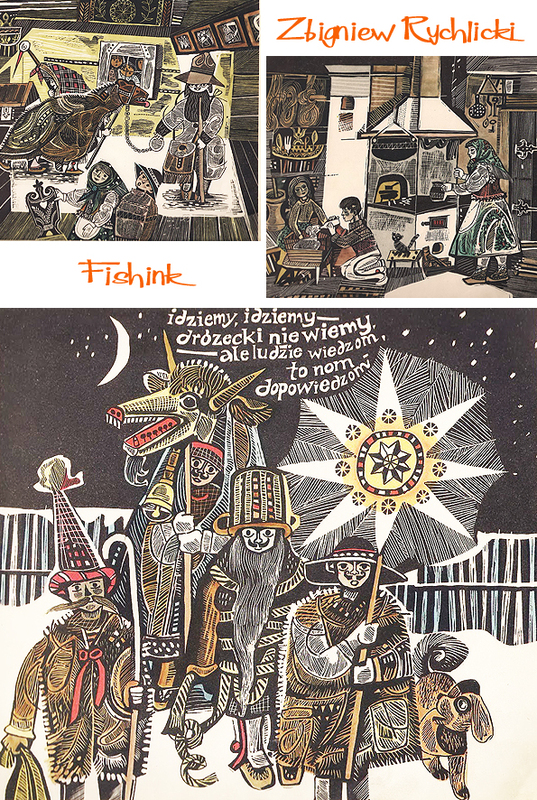 As Christmas is well and truly on it’s way, I thought you might like this collection of snow-themed illustrations from Polish Illustrator Zbigniew Rychlicki, to carry on from Monday’s post. 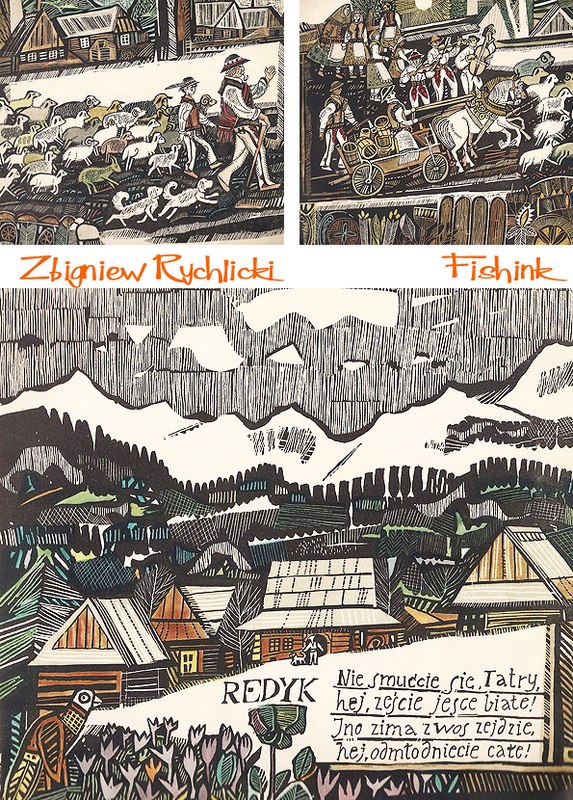 Zbigniew was working throughout his illustrative career in a number of different styles. 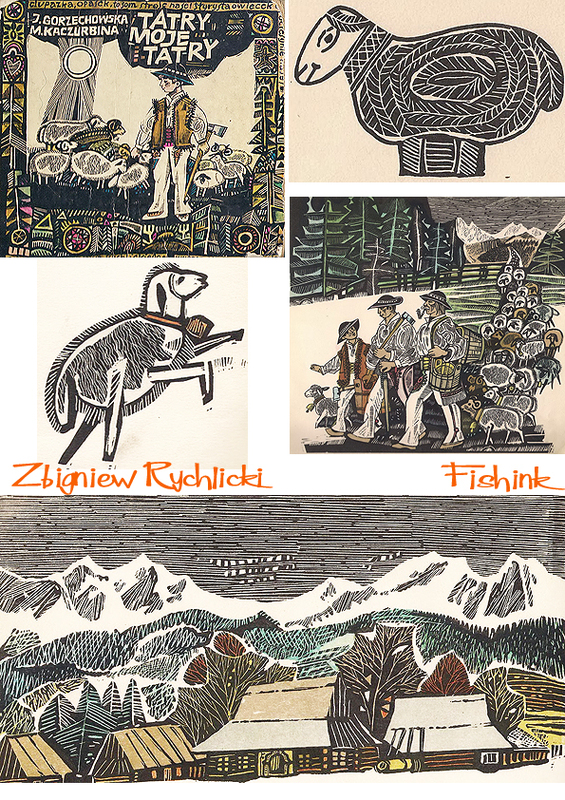 Water-colour, gouache and wood cuts were all well within this artist’s grasp. 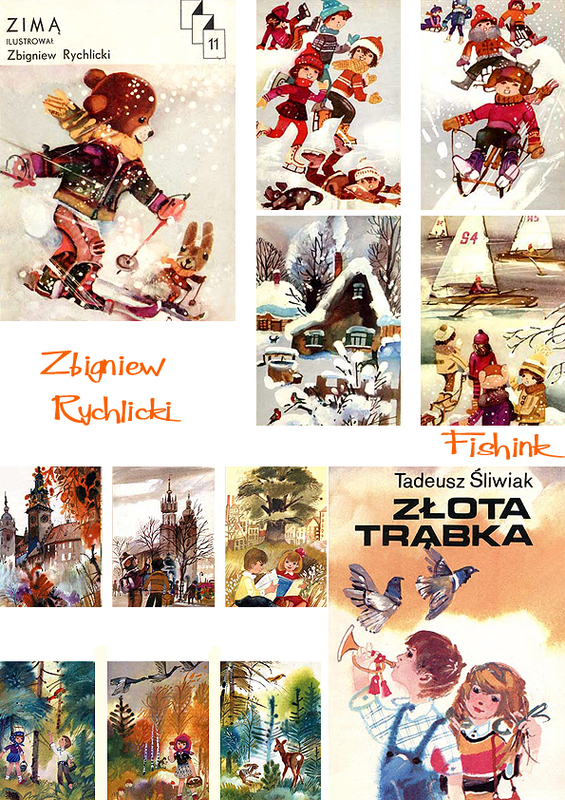 I really like how he incorporates snowflakes into the design repeats in the Illustrations below, helping to keep the theme wintery, festive and highly decorative at the same time. 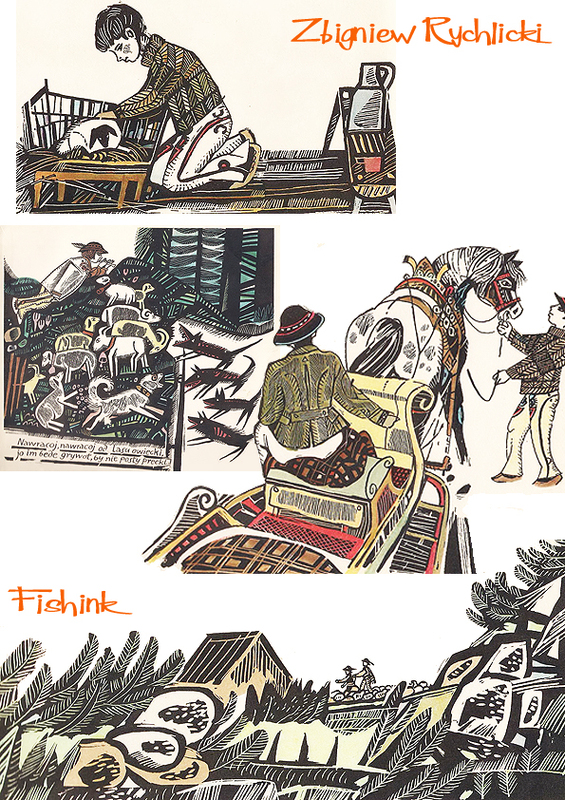 Another change of style here. 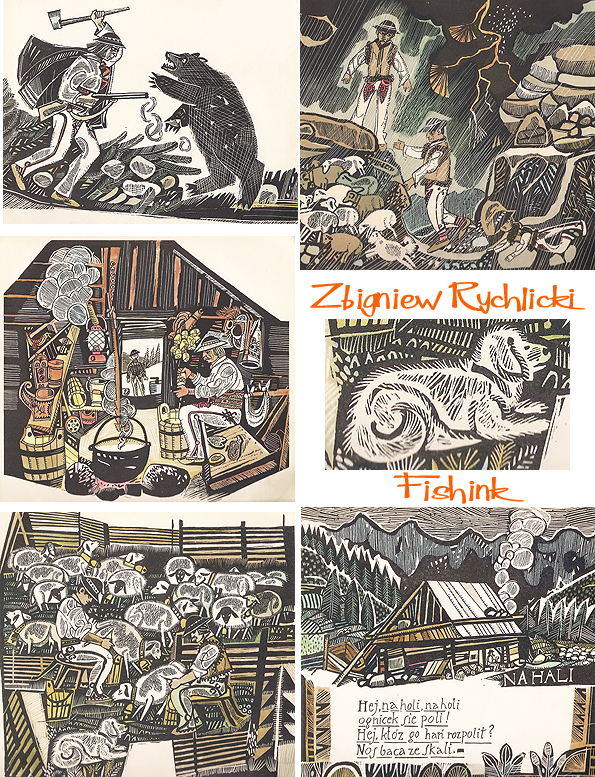 These mountain life scenes are beautifully depicted, I wonder if he visited a small, remote village or two for his illustrative research ? 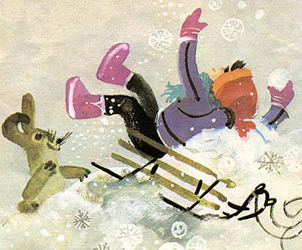 A wintery twist on folk art. 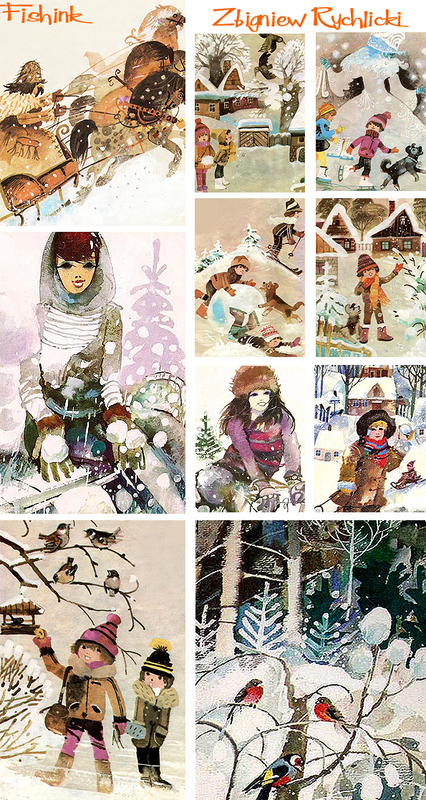 I hope it’s helped to make you feel festive and not too Brrrrr cold. 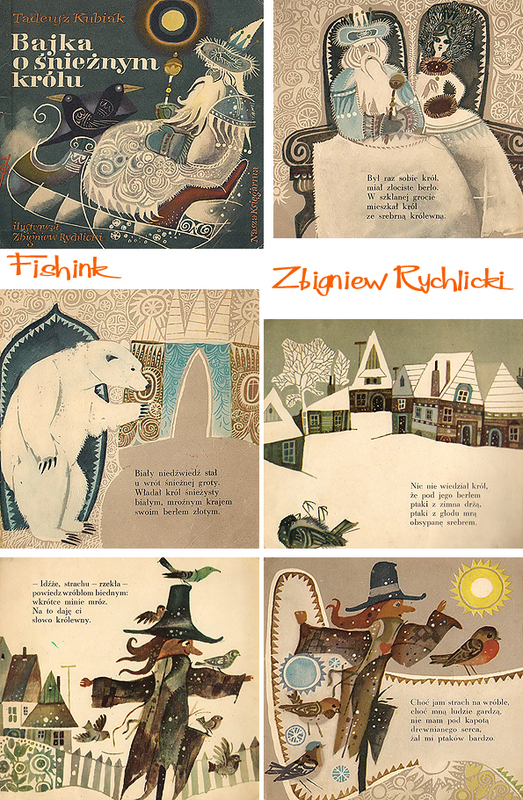 Keep warm everyone : ) Again many thanks to Jarmila09 who’s blog is well worth checking out for Polish illustration.